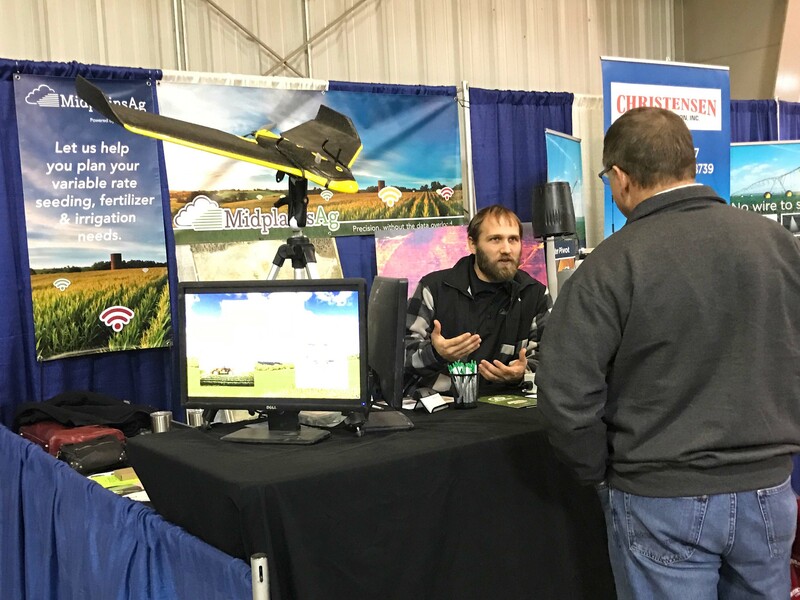 January 11 & 12 Midplains Ag had a booth at the 30th Annual Northeast Nebraska Farm & Equipment Show. Thank you to Farm Show Productions and News Talk WJAG 780 AM & 105.9 FM for putting on a great show. I would say it was a very well run show. Felt like the visitor attendance was pretty good this year. The vendor booths were all full. That was great to see. Lots of different dealers and service providers. Precision Planting and Syngenta were very well represented. Crop insurance agencies were active and ready to help as the multiperil application season begins. It is always fun packing up the pickup and hoping we have everything we need. We have gotten to be such pros that we can actually live without most things but it has been a couple shows since we forgot something major. Thankfully even though we spent an extra 10 minutes looking for something that was already packed we got to the show and set up with plenty of time to spare. They had three seminars each day. I only took the time to attend one of the seminars. Tina Barrett of Nebraska Farm Business Inc. had a great presentation on protecting the farms bottom line going forward. She looked at some historical trends to help put today's economy in perspective. I came away knowing that even though the ag economy is struggling the tools needed to succeed are available. To learn more about Nebraska Farm Business Inc. check out there website. Data from Nebraska Farm Business Inc.